Location: Between Walnut and S Rittenhouse Square, as well as between W Rittenhouse Square and 18th Street. 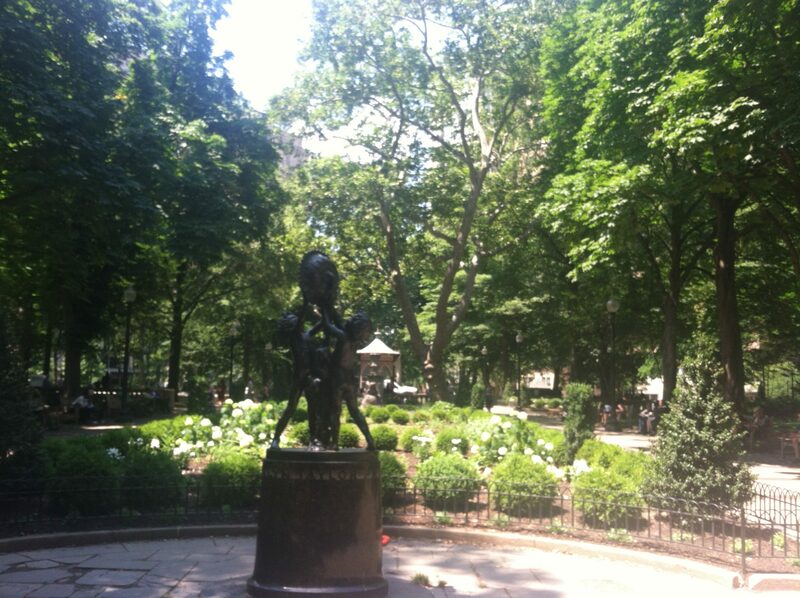 Rittenhouse Square is located in the heart of Rittenhouse, one of Philadelphia’s ritziest neighborhoods. Rittenhouse is well known as one of Philadelphia’s major shopping areas, much like Market East, and there are stores lined across Walnut Street across from Rittenhouse Square. Unlike the other squares, it isn’t completely surrounded by other major attractions. This one also has a wider variety of foliage, but yet maintains the large space for activities. Rittenhouse Square is much more popular than the others for dog owners, and also there seem to be more families than at most of the others (Logan has the most) There are benches scattered throughout, and plenty of shade from the sunshine. The views of One Liberty Place, one of Philly’s tallest buildings, are great. It’s a very nice urban oasis in a very nice area. Rittenhouse Square is also the site of all sorts of parties and festivals, which seem to happen on a regular basis. On a side note, this park is across the street from Church of the Holy Trinity, where O Little Town of Bethlehem was written. It has murals and fine stained glass windows on the inside.